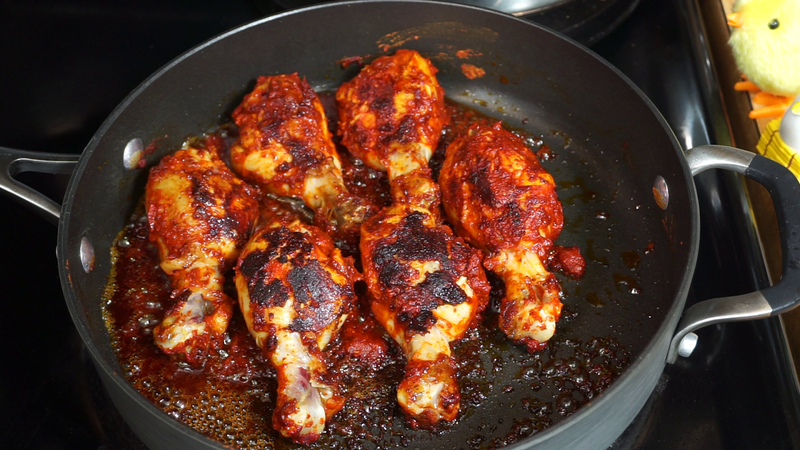 Posted by Angela Steffi on 10:40:00 PM Chicken Drumsticks are world famous recipe which is often had in most of the restaurants.There are thousands of variations and styles you can make this chicken Drumsticks but this Indian Style touch adds a unique taste to the recipe.In this recipe we are using Kashmiri Chilies to get a nice color, one thing about kashmiri chilies are they impart nice color to the recipe and at the same time they are less spicy. 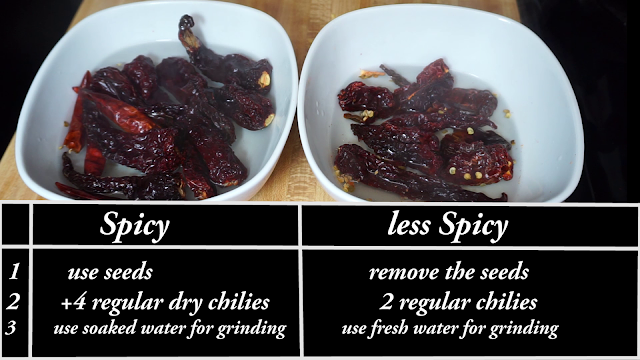 If you cannot handle heat then remove the seeds of the kashmiri chilies before soaking and then soak them in hot water.This water after soaking the chilies will be a little spicy so use fresh water for grinding,however if you are a fan of spice then you can use the same water for grinding.We are also going to use lemon juice to get a little tangy taste.You can either pan fry or roast the chicken pieces in the oven but both gives excellent results. 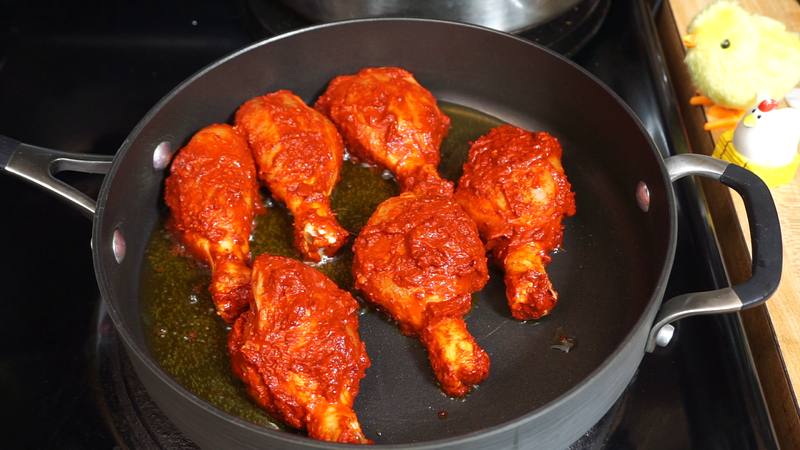 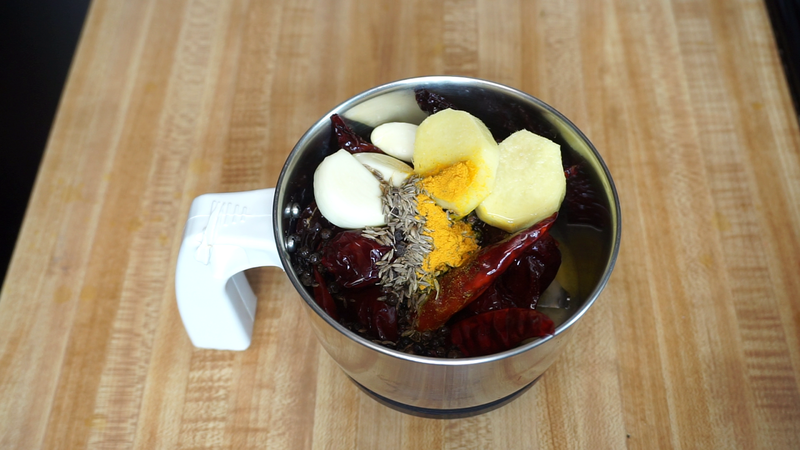 I make this recipe very often because it is very easy and simple to make there are only 2 steps involved.First we need to make a marination mixture and then we are going to pan fry the chicken drumsticks that's it.Lets start the preparation. 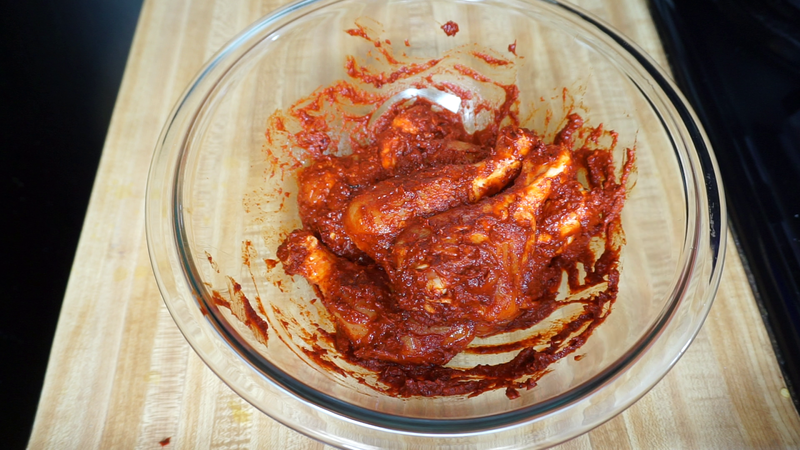 Step 3) Make some cuts here and there on the chicken drumsticks,so that the masalas can penetrate more efficiently into the meat.Add required salt and then the freshly ground masala paste.Rub it generously on the surface of the chicken and make sure all the sides are nicely coated with the masala paste. 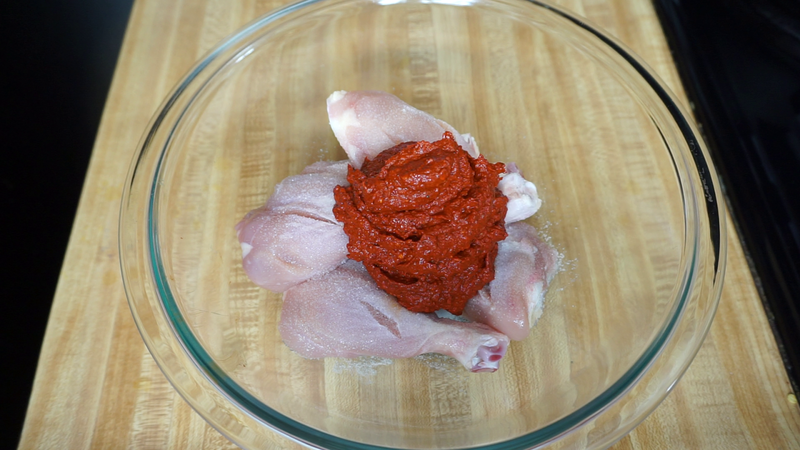 Our Delicious Chicken Drumsticks are ready to be severed.Enjoy them when it is hot.